Year: 2006. 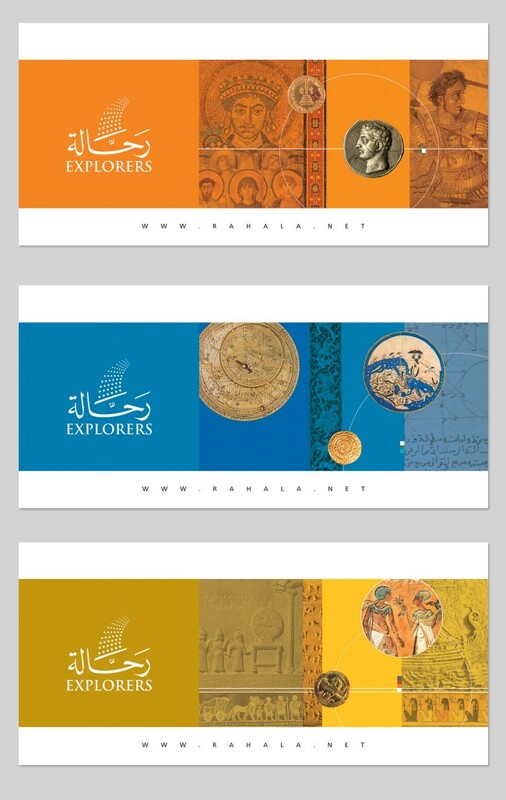 Client: Explorers Game, Lebanon. 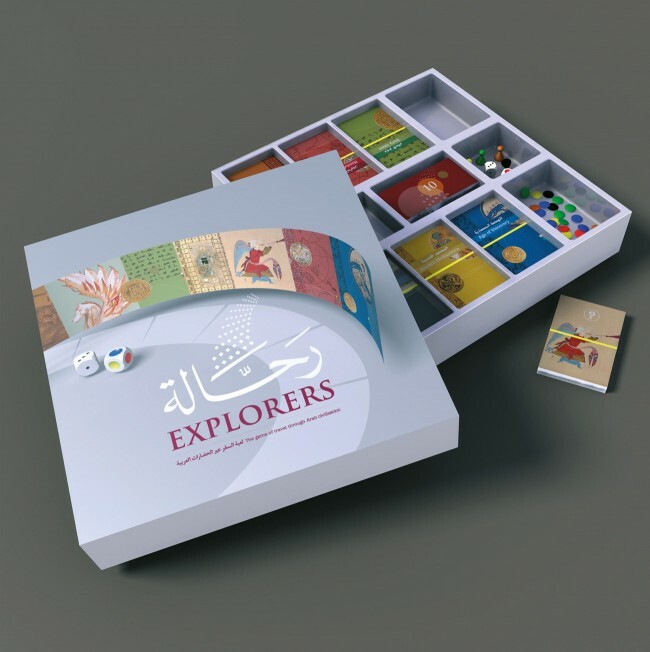 Rahala (Explorers) is a board game aiming to promote the cultural history and heritage of the Middle East and to highlight its diverse makeup through game playing. It use s entertainment to bring knowledge and offers an opportunity to delve into the legacy of the historic Middle East while challenging ones own knowledge and thought. 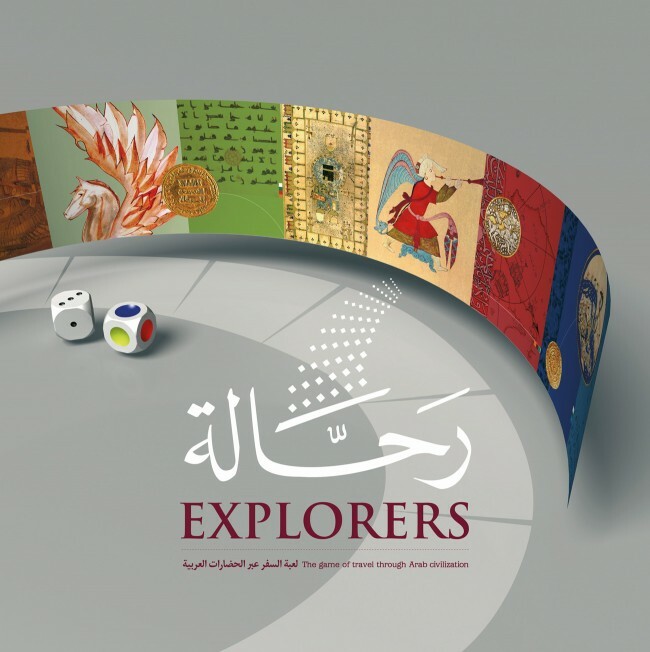 The entrepreneur behind the game board concept, the first board-game available about Middle Eastern history and societies, commissioned Tarek Atrissi Design studio to design and produce the game. 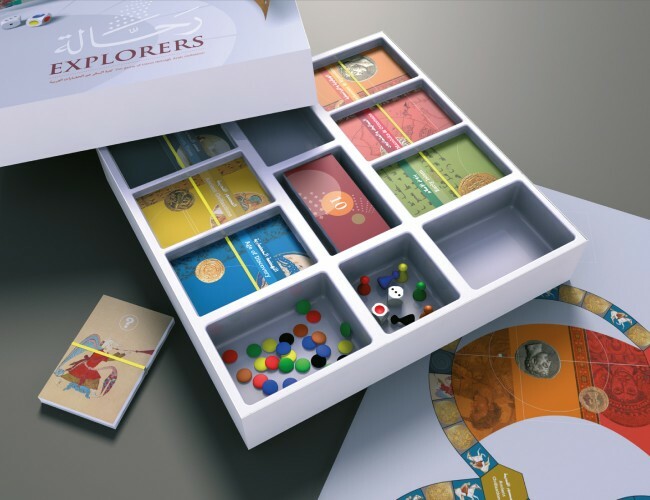 This included the game design, the visual identity, the packaging, graphic design and all information design and 3D components associated with the game. 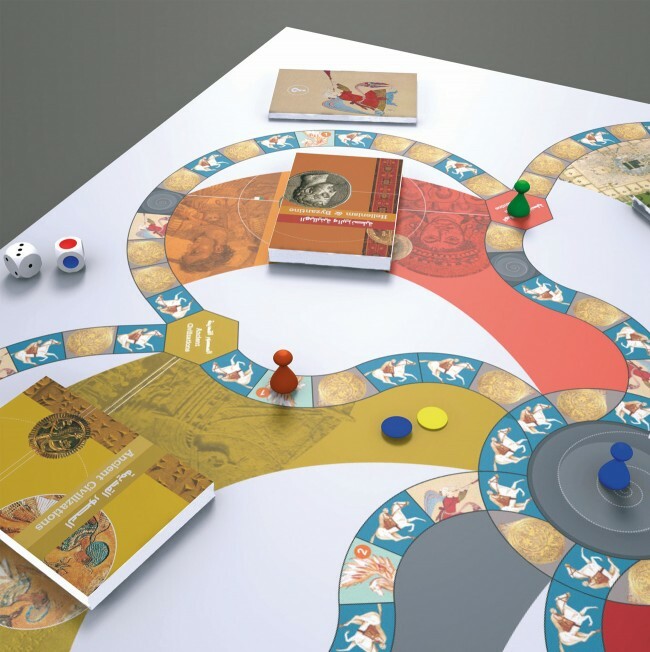 The project was an exciting opportunity to study in depth the visual culture associated with the different historical eras present in the board game: Ancient Civilizations; Hellenism & Byzantine; Early Islam; Age of Discovery; Mamluks & Ottomans; and the Modern Times. 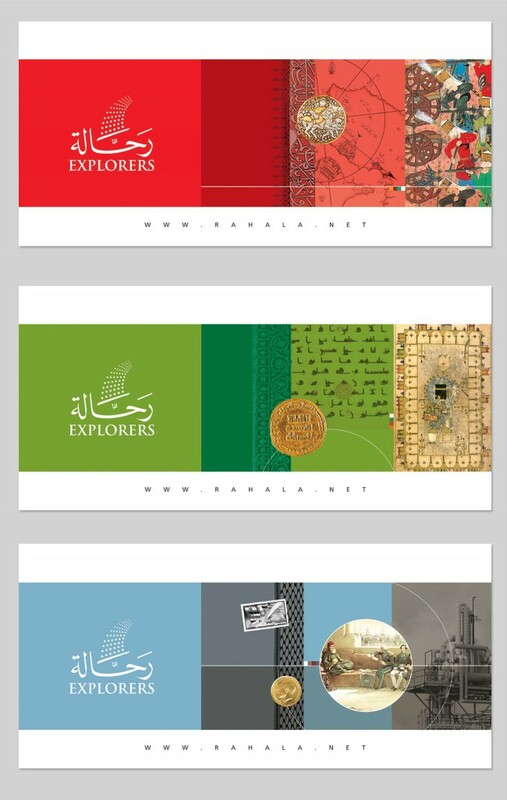 An independent graphic look and feel was created for each era, based on the art and visual heritage inherited from it. The overall different eras had to connect under one style to keep the game coherent as one identity. Rahala board game was printed and produced as a high quality product with a lot utmost attention to design details and production methods. It is an example of a project that combines multidisciplinary design skills such as graphic design; gaming design; information design; packaging & product design as well as design production management and coordination.